Neuropathy, or peripheral neuropathy, is a term that refers to a number of different disorders that occur when the peripheral nervous system is damaged. The peripheral nervous system sends information from the body's central nervous system (the brain and spinal cord) to every other part of the body. Peripheral neuropathy can take many forms and there are more than 100 identified types. It's thought to affect about 20 million people in the US, according to the National Institute of Neurological Disorders and Stroke. Some people feel pain in their hands or feet. Others with neuropathy experience tingling or muscle weakness. Since neuropathy isn't a single disorder, it doesn't have a single cause. A variety of medical conditions, genetic disorders and external factors can contribute to neuropathy. One common cause of neuropathy is diabetes. The Mayo Clinic reports that about half of people who have diabetes also end up developing neuropathy in some form or other. People who are deficient in certain vitamins have a higher risk for developing neuropathy. In some cases, those vitamin deficiencies can be caused by other conditions, such as alcoholism. Alcoholics tend not to get the nutrition they need from diet. Vitamins E, B1, B6 and B12 are all necessary for healthy, pain-free nerves. Autoimmune disorders and some inherited diseases can also cause neuropathy. People with lupus, Sjogren's syndrome and rheumatoid arthritis have an increased risk for developing peripheral neuropathy, for example. Some medications, particularly chemotherapy, and some poisons can cause neuropathy as well. Lyme disease, the shingles virus, HIV and a number of other bacterial or viral infections can also cause the disease. The exact symptoms of neuropathy depend in large part on the peripheral nerves affected by the disorder. Some conditions affect all three types of nerves, while others affect just one type. If the sensory nerves, which help the body to feel, are affected, a common symptom is numbness or tingling. Some people feel sharp or jabbing pain or might become very sensitive to touch. Muscle weakness is a common symptom of neuropathy when the motor nerves are affected. The motor nerves control the body's muscles and allow for all sorts of movements. Along with muscle weakness, damage to the motor nerves can make it difficult for a person to walk or move or can cause muscle spasms and cramps. The autonomic nerves can also be affected by neuropathy. These nerves control various bodily functions, from sweating to digestion and from heart rate to blood pressure. Symptoms of damage to the autonomic nerves can be pretty severe. A person might sweat excessively, have a faster or slower than usual heartbeat or develop digestive problems. Since the symptoms and causes of neuropathy are so variable, it can be difficult to get a diagnosis. A doctor will usually condition a thorough physical exam and may run a battery of tests to determine if neuropathy is present and the cause of it. A blood test can determine if a person has any vitamin deficiencies or a condition such as diabetes. Imaging, such as an MRI, can spot any tumors or growths on the nerves. A nerve function test assesses how well certain nerves respond to stimuli. If A Family Member Has Neuropathy, Do I Have an Increased Risk? Neuropathy is caused by many different conditions. Some of those conditions can be inherited, such as Charcot-Marie-Tooth disease. Others are not inherited. Just because a condition isn't inherited doesn't mean a person doesn't have an increased risk for it. It is possible for people whose parents or grandparents have had neuropathy to have a higher risk for developing nerve pain or nerve damage too. 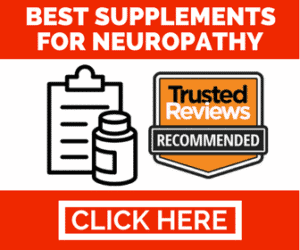 Is There a Way to Treat Neuropathy? A number of treatments can help people with neuropathy. The key to figuring out treatment is to look at what is causing the issue. 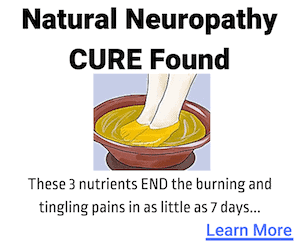 Treating the condition causing the neuropathy can help some people. For example, alcoholics suffering from vitamin deficiencies might control their neuropathy by improving their diet. Stopping drinking can also help ease symptoms. If there is no exact underlying cause of the neuropathy, treatment becomes more complicated. Often, managing or reducing systems is the focus. Some doctors prescribe pain medications to help patients minimize symptoms. Patients also often see results with vitamins or herbal supplements. Since low levels of certain B vitamins can cause nerve damage, increasing those levels helps many patients. Other supplements that can have a positive effect include alpha lipoic acid and a variety of herbs. Patients should always talk to their doctors before taking any vitamin or herbal supplements.